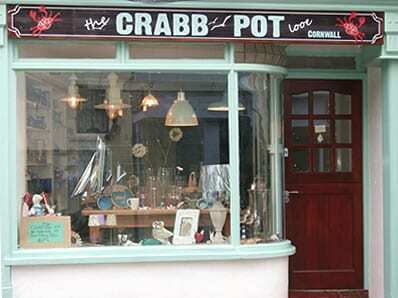 Our shop, The Crabb Pot, is based in Looe, a small fishing port in Cornwall. Looe is well known as a holiday destination, with lots of eating establishments, a large beach and some beautiful coastal scenery. Looe has also played host to some amazing bands over the last couple of years at “The Looe Music Festival”, and has become quite a “foodie” destination, with local suppliers and restaurateurs showcasing all that this beautiful area has to offer. The Crabb Pot opened in April 2013 by myself (Bryony Crabb) and my parents, Ann and Micky Macartney. Our aim was to offer something that is not already available in the town, Focusing on local residents as well as visitors. We love being surrounded by beautiful things that make people smile when they enter our shop. Our passion is to offer beautiful gifts and interiors for the home, sourcing products from the South West when possible. We have opened during a recession, and we hope the only direction we can go is up! The response since we opened has been phenomenal and we can’t thank people enough for their support! After a lot of interest in a website…here we are! It is a real work in progress, but we hope it will grow asthe business grows. We love to chat to our customers, hear peoples ideas and we are always keeping an eye out for new and exciting products. So pop into the shop, drop us an email or check us out on Facebook, we would love to hear from you! Here’s to many happy and exciting years ahead of us!